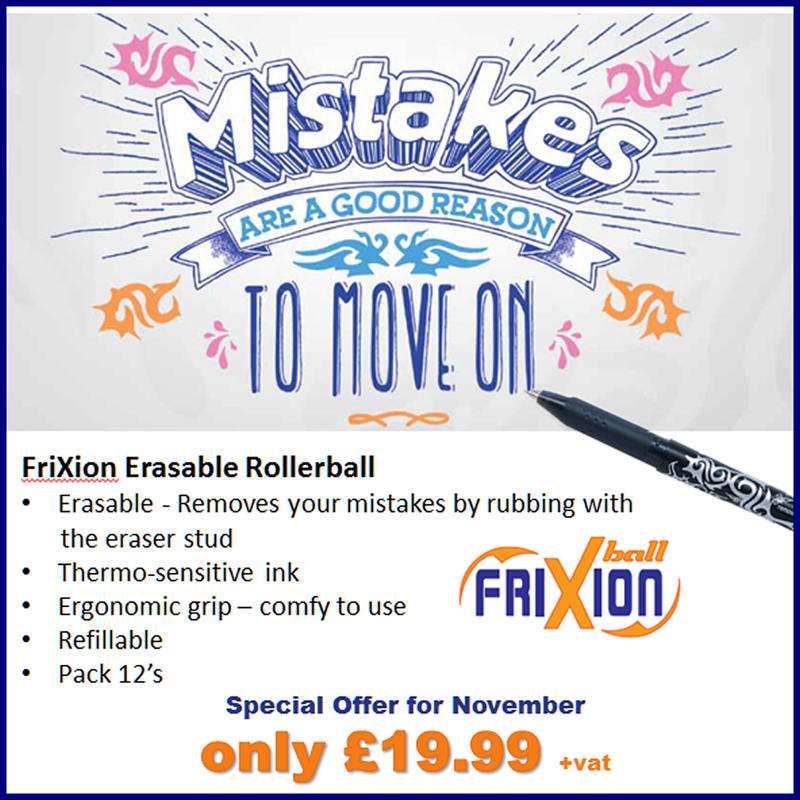 Removes your mistakes by rubbing with the eraser stud. Ergonomic grip – comfy to use. Available in Black (PEN1259), Blue (PEN1201) or Red (PEN3226). Special offer for November and December – ONLY £19.99 +vat. Contact one of our friendly team on 01594 810081 or visit www.officestar-group.co.uk to order.